The 6’2 220 Romero, was drafted in the 12th round in 2010, Romero was a superstar at Oregon State University, earning all Pac-10 honors. Starting at 2nd base, Stefan transitioned to the outfield. Romero started 2014 on the opening day roster as an outfileder, played in 72 games and was optioned to Triple A in August. 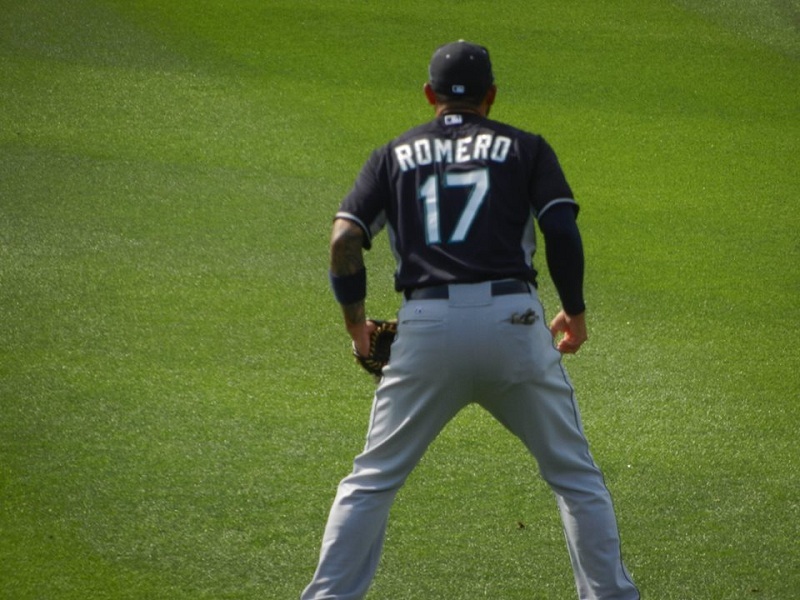 With the acquisition of Ruggiano and Seth Smith, Romero loses his outfield position. Stefan will begin his season in Triple-A Tacoma and may see action as a late season call-up. We expect limited playing time. Stefan’s younger brother, Santiago, was a teammate of Stefan on their high school baseball team.